OKLAHOMA CITY – State Rep. Ken Luttrell today commented on his appointment to various House Committees for Oklahoma’s 57th Legislature, which runs through 2019 and 2020. Luttrell will serve as vice chair of the House Appropriations and Budget Subcommittee for Non-Appropriated Agencies. He also will serve as a member on the Energy and Natural Resources, Higher Education and Career Tech, and Veterans and Military Affairs Committees. Luttrell thanks the people of his district for the trust they placed in him to serve at the state level. 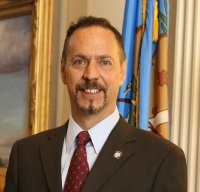 Luttrell serves District 37 in the Oklahoma House of Representatives, which covers Kay and Osage Counties. He can be reached by phone at (405) 557-7355 or via email at [email protected].